Compensation for a bug where weapons were not granted with a native special ability during appraisal. Distributed to those who were affected between Oct 8th ~ Oct 22nd. 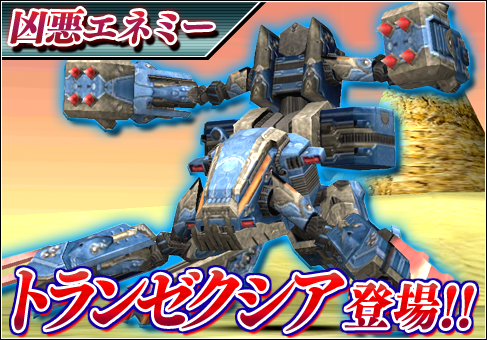 Defeat Tranzexia for a chance to receive its 11★ chips. Trade in those chips for 11 star items in the Recycle Shop. Io [Anniversary] Deal bonus damage towards mechs for a long period of time. Receive various prizes by purchasing Premium Sets during the campaign period! If you purchase several different premium sets during the campaign period, you can qualify for each of the respective prizes. For example, by purchasing the 60 day and 90 day premium sets, you can receive one Head Riding Nyau and five +100% Triboosters and Casino Coin Passes. Players will receive chips based on the total number of PSO2es reviews added to the Google Play or App Store during the campaign period! Time to learn how to affix abilities to weapons and units. Wow I already forgot about the item enhance boost week haha. Gonna see if the crit damage up potential TMG/katana are as good as the dual blades. well, for me, need some TMG for Fighter with that same Pot…. just think of it, Full critical build Fi/Gu with that kind of Pot. In my opinion, Critical Strike (15% critical rate/damage increase) is not worth giving up Hightime, especially now that it caps at 120% instead of 115%. Fury + JA Bonuses (161%) are slightly stronger than Brave (150%) (but definitely weaker than Wise [176%]). In my opinion, due to Hightime’s focus on shifting enemy hate on to yourself, Brave is more useful than Wise, and all three stances have the same critical up rate. Zero Range Crit + Stance Crit + Shifta Crit gives you an adequate amount to begin with (98% critical rate? ); that drops sharply outside of Zero Range, but outside of Zero Range your damage will drop sharply anyway, so at that point Critical Strike is just trying to mitigate loss rather than boosting what you already have. Whoooops, that should be 146% for Fury, not 161% (an extra 10% made it in there by accident). Nope, 1.61 for Shooting type damage is correct if you’re counting in the full Fury Tree and both JA bonuses. Though if you actually combo PAs with Fighter, TAJA will bring Brave to 1.73 and Wise to 2.02 for the 2nd PA onwards. Fighters can go higher still, it’s just that you have to play by the conditions. Skills are multiplicative. Not additive. 1.61 is correct. Please don’t make fun of Harken, Dyscalculia is a real thing. welp, but remember. Fighter’s Half, Dead, and PP slayers can come really handy, cuz I never have my HP over 75% anyway, so My Perfect Keeper hardly activates. Fury Stance doesn’t raise status effect damage (burn, poison) either while both Fighter stances and Perfect Keeper do. On the other hand, not a lot of people focus on damage over time … over just damage. The damage boosts from Halfline/Deadline/PP Slayer are a lot more difficult to express since they raise stats, so the amount raised depends on your character’s stats (race, gender, class, and equipment) and obviously those can all wildly differ. Still, if you want to forego Perfect Keeper, then it’s pretty hard to top the bonuses you get from Halfline/Deadline during Limit Break. I’ve seen a fair number of brave players extending their Gran Fol/Koukomaru/Fuugadan just to make them Fighter equippable in order to take advantage of Critical Strike and Limit Break. Nothing ventured, nothing gained! All in all, GuRa will always be the boss melter, while GuHu/Fi will always be the mob clearer. Note that this was a level 50+ Gu level 40+Ra fighting a SH falz arm. I think shifta was in effect, I’m not really sure. A friend of mines really love the pso series and wanna play this game but when she trys to go to pso2.jp to download the jp client the page just wont load for me. is it a region thing (i live in the US) or is the site not working anymore? thanks!??? That link will surely come in handy, see you in game! No one is supposed to Captain Obvious. I stated that because I thought Sega would be smart about playing new songs instead of the old but apparently not. Also I am not going to a concert to listen to a slow song like Eien no Encore. And same back to you, no one cares about your taste. I did not even care about the boost. The second I saw original Quna instead of the new one, left. A live boost started.. Whatever it means and for how long. It is a +10% Triboost applied during a Quna concert. It lasts for about two hours. I see thanks for the reply. 2nd Phantasy Star Nova Demo on November 13th!